Do we really need this? Just give us the Galaxy S3! Samsung and Google could re-launch the Galaxy Nexus with a beefed up 1.5GHz processor and GPU from Texas Instruments if early benchmark tests are to be believed. The news was triggered after a new benchmark score was spotted on the Nenamark site, which displayed a Galaxy Nexus with a PowerVR SGX544 graphics processor. This GPU from Texas Instruments comes with a 1.8GHz processor, but could be underclocked to 1.5GHz for the Nexus, as the processor in the original Nexus was underclocked from 1.5GHz to 1.2GHz. The result found on the benchmarking site could well be a fake; however Samsung have a track record of re-releasing handsets which slightly different specs. Just take a look at the Samsung Galaxy S Advance. There has also been a leaked advert from US carrier Sprint – who is soon to offer the Nexus, which showed the handset to have a nippier processor and other rumours suggest it could pack an updated 8MP camera (up from 5MP). This isn't quite pie-in-the-sky stuff, but it has to be taken with a pinch of salt. You certainly can't rule out a possible refresh of the Galaxy Nexus, but with the Samsung Galaxy S3 set to launch in the coming months, there really wouldn't be much point. 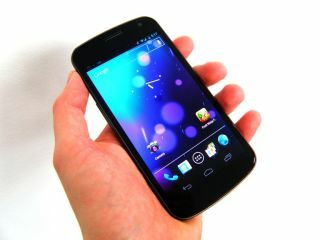 Would you be tempted by a beefed up Nexus or is it a waste of time and money?